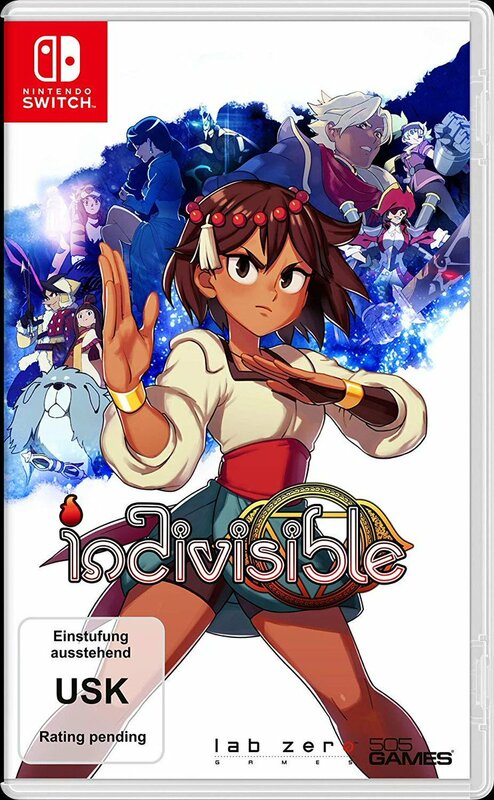 Qualche ora fa è emersa la boxart tedesca (ed europea) Indivisible, titolo in arrivo nei prossimi mesi sull’eShop europeo di Nintendo Switch. Il titolo di Lab Zero, rinviato negli scorsi mesi, è infatti previsto per l’uscita sui Nintendo Switch europei e americani nella prima metà del 2019. Indivisible has been delayed until the first half of 2019. While we did everything we could to prevent this from happening, the simple reality is that Indivisible ended up being a much larger project than we could have anticipated when the game was conceived way back in 2015. A number of other issues related to shipping a product of this size contributed to this decision, but the main issue is just the sheer number of assets this game requires and the time needed to deliver them at the quality you expect from a Lab Zero game. This was not a decision we made lightly, nor did we make it alone. Needing more time to finish the game meant that we also needed more money. Fortunately, 505 Games has graciously funded the majority of the extension, and Lab Zero will be kicking in our Skullgirls royalties to cover the rest. To help us make this new ship date, we’ve also hired a new Lead Level Designer and a new Lead Writer. What we have not done is cut down on the amount of content we promised. Not only do we want to deliver the game we said we would, the game’s structure and story made it virtually impossible to cut levels or make other kinds of “easy” cuts to reduce the scope of the game. As always, we’ll continue to share what we’re working on through blog posts, streams and events. But until then, we’ve got a sneak peek at some of the awesome things we’re working on. Lab Zero wouldn’t be here without your support, financial and otherwise. And we’re committed to making Indivisible the best game we can, and appreciate your patience while we get it there. With the exception of some new text, we’ve finished our work on the Backer Preview! Mike has been busy fine-tuning the new characters, and that’s resulted in changes to how they play. We’ve added character hints to help you get a better handle on the characters, and because they’ve changed we had to redo some of the hints. We’ve also added some new tutorials to explain some of the other new additions. These hints are meant to be a quick and easy way to learn a character’s basics, but for the final release we also plan to add complete “movelists” for each character, with a detailed description of their battle functionality. 505 Games is testing the build while we wait for localization of this new text to return, and we should be ready to submit for console certification once we receive the translated text and make the Xbox One patch. We’ve locked in a release of June 8th with 505 Games. So you’ll get to play it before the press do at E3, where it will be shown behind closed doors. We think you’ll be pleasantly surprised with everything we’ve added to the Backer Preview, and look forward to your feedback!